URL-2m improved retort furnace created by the FID-D Venture Company, allows safe gold extraction from amalgam. Our equipment will increase the profitability of gold mining when dealing with rocks or discarded dumps. high processability thanks to a roomy chamber with a high-temperature sealant. 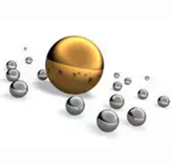 The URL-2m retort type furnace works according to the principle of evaporation of mercury vapors from amalgam, resulting in the formation of pure gold. Due to the large difference in melting and evaporation temperatures, the elements are separated from each other completely. You can buy a retort furnace for gold mining from our company. Contact us in any convenient way for you, listed in the "Contacts" section.